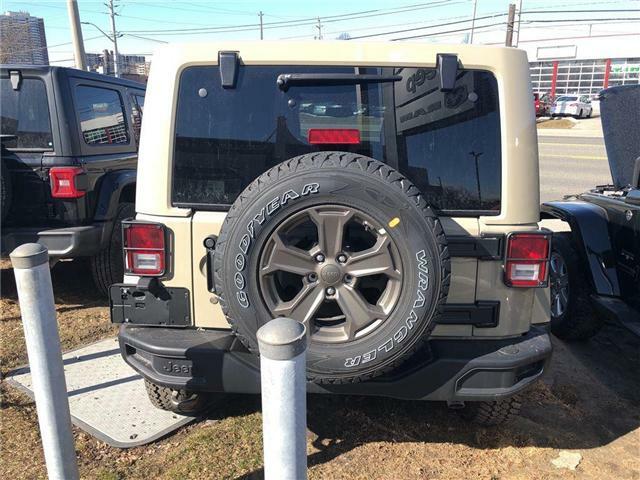 $43,775 x 96 Months @ 4.29% APR (estimated financing rate, cost of borrowing $7,977). 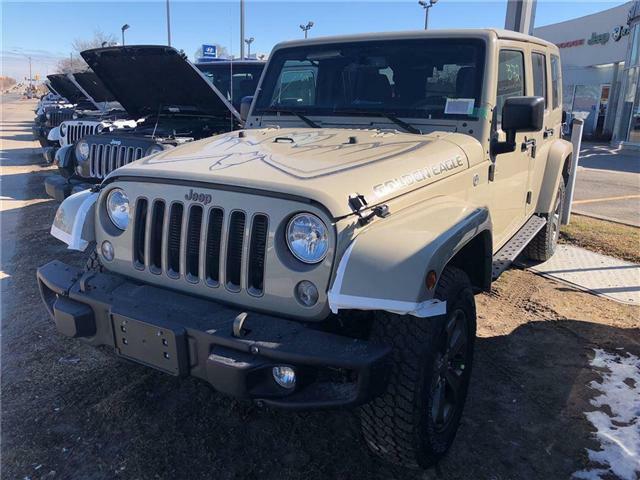 This Beautiful 2018 Wrangler Unlimited Golden Eagle is ready for you. Equipped with Dual Tops, Power Convenience Group, Alpine Premium Audio System and Golden Eagle Logo Cloth Seats. 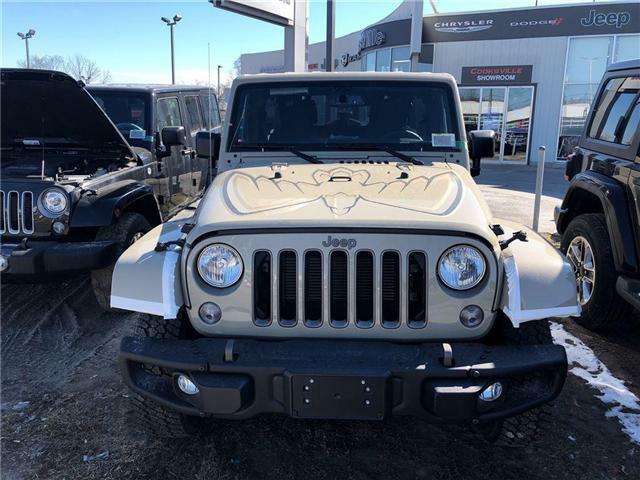 Powered by a smooth 3.6L V6 paired to an 5-Speed Automatic Transmission this Wrangler is sure to be a delight. 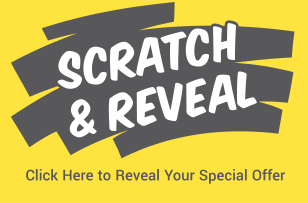 Contact us today and drive away with no payments for 90 Days O.A.C. Call today and find out how you can be approved for $0 Down Financing with some of the best rates around! 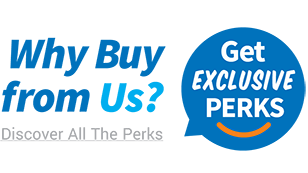 We take pride in giving top dollar for trade in's to all our valued customers, so make sure you bring yours by! 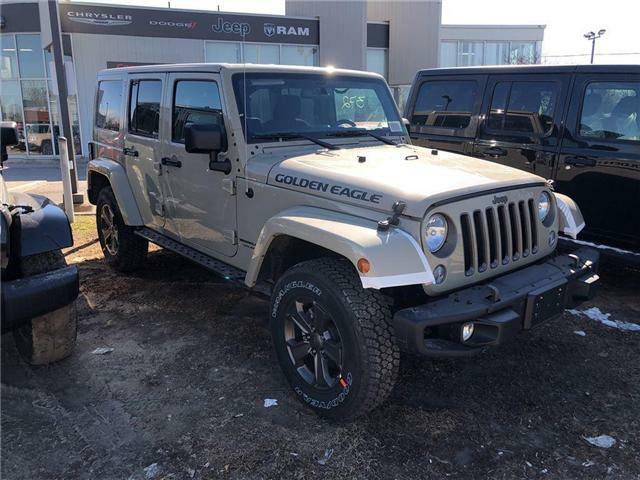 Want more...Get more...Experience Cooksville Jeep. * Every reasonable effort is made to ensure the accuracy of the information listed above. 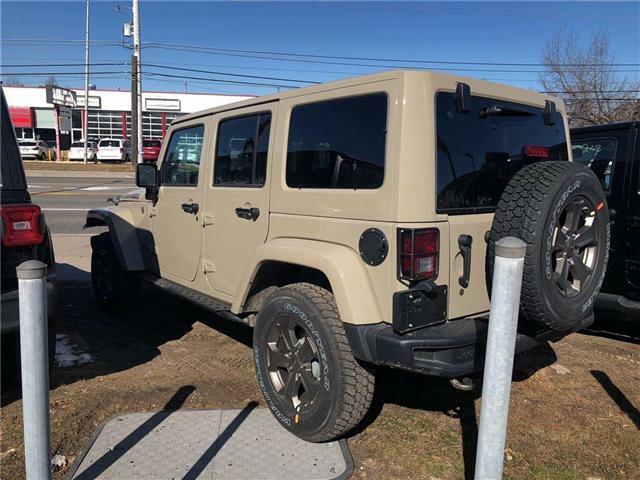 Vehicle pricing, incentives, options (including standard equipment), and technical specifications listed is for the 2018 Jeep Wrangler JK Unlimited Sahara may not match the exact vehicle displayed. Please confirm with a sales representative the accuracy of this information.